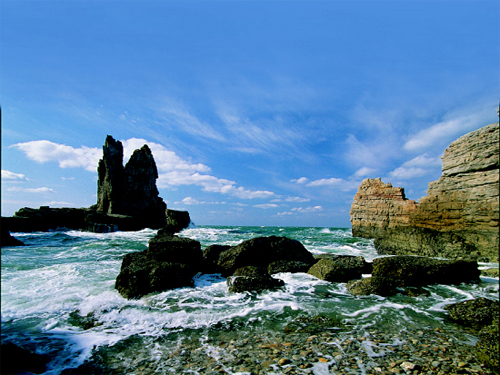 Incheon’s Baengnyeongdo Island's famous craggy sea cliffs. Incheon is the third most populated city in Korea, and its location along the West Sea makes it an important destination for trade. 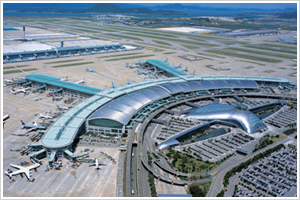 The city’s name is also synomous with the Incheon International Airport. As Korea’s primary international airport, nearly half of the flights are run by major airline Korean Air. To say that the airport is entertaining is quite the understatement; there is also a casino, spa, golf course, and even an ice skating rink on the premises. Find some of Incheon’s best restaurants here. Here’s a handy list of Incheon’s top five sights. Need a hotel? See an extensive list here. Check out Visit Korea and Incheon tourism to find out even more.